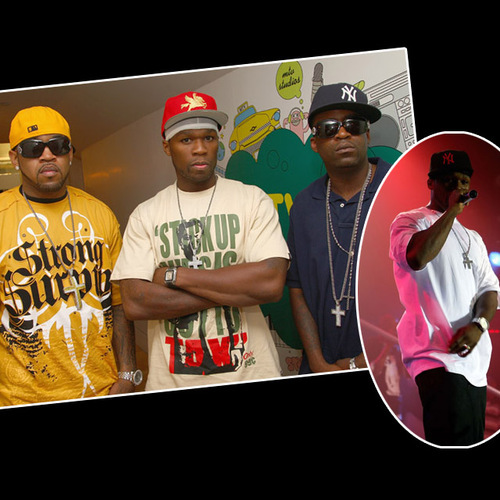 The three remaining members of G-Unit 50 Cent, Lloyd Banks and Tony Yayo stopped by MTV TRL and held a concert at the Nokia theater to promote their new album Terminate On Sight. Click here to read our Binside TV G-Unit T.O.S. Album review if you missed it. 50 Cent is now saying there isn't any beef between him and T.I. The rapper had some lyrics in his song "You So Tough" which sound like he was taking a swipe at T.I. who was arrested for illegal weapons possession but beat jail time and got community serve. Fiddy didn't say T.I. 's name but the general consensus by hip-hop fans, journalists and bloggers is that 50 Cent took a jab at the King of the South on the G-Unit's album cut "You So Tough."